My first Kickstarter campaign! published on May 10, 2012 Read more posts by the author of My first Kickstarter campaign!, Chuck WhelonNo Comments on My first Kickstarter campaign! 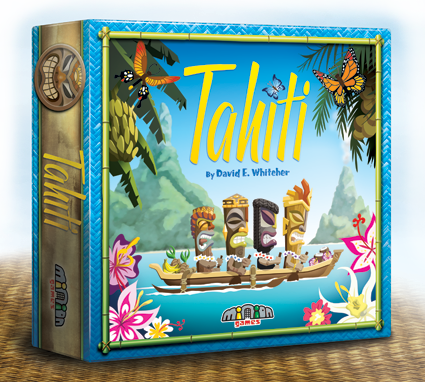 Tahiti is a boardgame created by a guy called David Whitcher being published by Minion Games – I did the art for it. It’s an excellent game, very easy to learn and play, great for friends and family, what we call a ‘gateway game’. It has a strong ‘Euro’-mechanic and will please both casual and serious gamers. The Kickstarter page just went live and run through June 19th, so please spread the word far and wide!